EasyCare's latest addition to the 2009 product line continues to show how well it performs. Countless hours of testing have definitely payed off! The Easyboot Glove successfully completed the 50 mile Endurance Ride at Warner Springs, Ca. last week end. Happy horse and rider as you can see! For everyone out there who has been patiently waiting, orders can be placed January 15 on line, by e-mail or calling 1-800-447-8836 and speaking to one of our friendly Customer Service Reps. In addition to our current line of hoof boots, the Glove and more styles will be available mid to late February. Supply is limited so get your orders in right away. Happy Riding! Do you subscribe to our monthly newsletter? If not then you may be surprised to find out that we are discontinuing certain items from our catalog. Shear Comforts are all being discontinued and will be available while supplies last. Protect your seat, legs and saddle from the wear and tear of riding with EasyCare “Shear Comfort” sheepskin saddle covers. Imported from Australia, Merino is the thickest, softest and most durable sheepskin in the world. Visit our online storeto see what is currently available. This could be your last chance to get the comfort during your rides or get a jump start on next year's Christmas list. You can also contact EasyCare directly by phone at 1-800-447-8836 or email. Our colorful Stowaway Gear bags are also being discontinued. Stowaway Gear Bags, Hay Bags, and Bale Bagsare now being offered in navy color only - other colors available while supplies last. 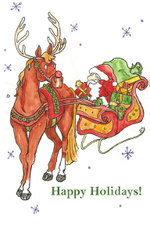 These would make great gifts and you can also have a color coordinated tack room. If you board your horse, these would be great to keep your items easily recognizable. Two other items being discontinued are our EasyIce Boots and the Nylon Mesh Sponge Bag with or without sponge. 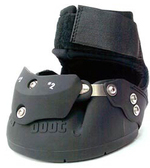 The EasyIce Boots are available individually or sold in pairs. Great for exercise cool downs or injury therapy and are completely reusable. The nylon mesh sponge bag (with or without sponge) are great for hot rides and easy cool downs or as a general cleaning aid. Both of these items can be found with our Stowaway Gear. If you don't subscribe to our newsletter, you may also be missing out on specials. Click hereto view our current January special. When you subscribe, you can be one of the first to learn about specials and new products! Some of our new products will be available shortly so keep yourself informed and subscribetoday. Should We Copy or Echo Nature? Oh Yes!!!! Have you been able to naturally give your horses the physical or mental stimulating area for their well-being. Creating an environment that echoes the wild does a lot for horses both physically and mentally. Keep that overhanging tree for a good back scratch area instead of cutting off that limb. A good size boulder or old tree stump also works quite well for those much needed belly scratches. A fallen tree or old log does wonders for helping your horse find his balance and teaches him how to use his feet to go around or over obstacles. Balance and coordination are not part of the breeding or instinct, but by learning thru practice, trial and error. If you take everything out of his living environment, you take out the challenges. Take "nature" out of the environment and your horse only has his water and hay for mental stimulation. Mentally horses are very perceptive, curious, and intelligent, so standing in a stall day and night could effectively be considered solitary confiment. Having nothing else to do, the horse can turn to “vices” such as cribbing, pawing and pacing to relieve his boredom. This can eventually lead these behaviors to become habitual. Once the horse is liberated from his jail, however, many of these vices disappear. Physically horses are built to move, and in the wild will cover a total of ten to fifteen miles a day. When not able to exercise, body circulation is hindered, causing problems in the legs and feet. Wild Horses travel constantly over different obstacles and different terrains. Not only does this provide mental stimulation, but also keeps circulation flowing. As they take a step, the hoof expands drawing blood into the hoof. As the hoof comes off the ground, the hoof contracts and pushes blood back up the leg. This is why the horse has five hearts. Barefoot horses especially benefit from an all-terrain area, as again this mimics or echoes the wild. Create the same conditions in their everyday living and just like the wild horse, have the domestic horse move more often. Standing at the water trough or just hanging out at the fence will not create a sound barefoot horse. You need to create their area to stimulate and enrich their lives, but that is not the only reasons although they are just as important. Creating this area will also help keep your barefoot horse sound so that any riding area or terrain is not a hazard. Having those rock crunching hooves allows both you and your horse to enjoy being on the trail. The terrain on which a horse lives is part of the conditioning. The terrain should resemble the surfaces that you wish to ride on. If you ride on soft surfaces, such as grass or sand, the terrain is not important. If you want a horse with all- terrain feet so it can be ridden on tough ground, it's terrain should include some rough ground. To ride on rocks, your horse must live and walk on rocks. If space is limited or you board your horse, you can still stimulate them mentally by providing toys or having them turnout with other horses for extended periods of time. Horses are herd animals and just like humans, they depend on their friends and a little socialization. Have no control over their living area, but still want to go barefoot? Hoof boots can help keep your horse sound physically as well. Removing the shoes and letting them go barefoot will allow their circulation to function as nature intended. Hoof boots are perfect for providing protection, traction, and allowing your horse to travel in comfort. Hoof boots with comfort pads work like nature as well. Comfort pads change the peripheral loading from the walls of the hoof, back to where nature intends it, the whole bottom of the foot. EasyCare Inc can help you determine the appropriate boot for your specific needs. Contact us with any question regarding the hoof boots. 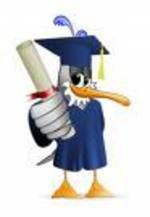 We can also direct you to our great library of educational links that will help you echo the wild. TrailBlazer Magazine recently ran an article in it's September 2008 magazine "The Ultimate Guide to Trail Horse Health. 101 One Hundred Plus One Tidbits of Knowledge". This article addressed: Equine Skin Care, Fighting Disease, Vet Exam, Parasite Control, Vital Signs, Equine Eye, Metabolic Problems, Horse Nutrition, Hoof Care and Dental Health. Each of these topics addressed the top ten things in this area of the Horse's Health. This article was written by Wendy Lumbert. Here at EasyCare Inc, we were of course drawn to the Top Ten Things about Hoof Health, and what Wendy had to say about these ten ways to ensure you get better hoof health. 1st -- Diet. "You are what you eat" goes hand in hand with your horse's overall health and this includes their hoof health. 2nd -- Trimming and Maintenance. A regular trim even in the winter will help keep hooves in shape and come spring, you are back on the trails again without hoof problems. 3rd -- Intelligent Hoof Care. Monitor your horse's hooves to make sure that the trimming is being done correctly. Watch for underrun heels or long toes. These can take months or years to correct. Change farriers if you find that the trims are not being properly done. Use our handy Hoof Care Provider link to find one near you. 4th -- Their Footing (Terrain). Constant wet or soggy ground will 100% guarantee that they will develop hoof problems. Correct their terrain as much as possible. Read this great blog on " How to Keep your Barefoot Horses Sound". 5th -- Grooming. Keep the hooves picked out daily. Not only will this let you know what kind of shape the hooves are in but also prevent stone bruises and find thrush or white line disease early. Check out our magnetized hoof pick that will make it convenient for you to do this task every day. 6th -- Leave room for expansion. If you use metal shoes, make sure that they are not tight and make sure the ends of the shoes are to the end of the hoof. If the shoes are too far towards the frog, this can lead to contracted heels. Hoof boots allow for expansion and flexibility. 7th -- Use Hoof Pads or hoof protective products. There are boots and pads like our EasyCare Comfort Pads that will ensure pressure on the frogs and keep them healthy. 8th -- Use appropriate Hoof Coverings. A horse with great feet maybe able to go barefoot almost all the time and just use hoof boots for that occasional ride. Do what is appropriate and keeps your horse's feet in good condition. We can always help you determine which boot would be appropriate for you. You can contact us at any time. 9th -- Keep Feet at proper moisture levels. if your horse's hooves are too dry and your farrier has to take out super-sized nippers, try overflowing the water troughs a little or even use an EasySoaker. Soaking the hooves on trimming day will make it easier for the farrier. 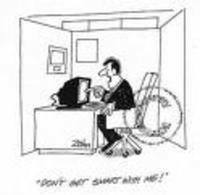 10th -- Address any problem quickly. If you are out riding and hear the clink clink of a loose shoe, take care of it as soon as you possibly can. Learn how to pull the shoes yourself and put on the hoof boot. The Easyboot has been called the "Spare Tire" for years. Of course you need to get the September 2008 issue of TrailBlazer magazine to be able to read this whole article. If you have a high resolution picture of your performance horse in EasyCare's hoof boots, then you may be eligible to win a $75 Gift Certificate. We have alot of photos of trail riders using these boots, but now we are looking to include performance horses in our collection. Do you barrel race, jump or do other actions with the boots on? If you do, then get your camera out and submit your non-copyrighted photo to marketing@easycareinc.com. For all the rules and eligibility requirements, click here. *Photos must be at least 300 dpi and 4 inches by 5 inches in physical dimensions. File formats accepted: .jpg, .tif, .psd and all camera RAW files. 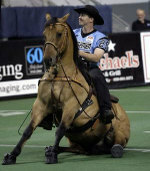 Below is one of our favorite performance horses' using the Easyboot everytime he is on the field. Also read one of our older blogs about this amazing horse. 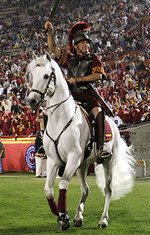 The mascot of USC "Traveler". Watch this amazing video from National Geographic on some Wild Horses. Keep in mind that most barefoot trims are now modeled after the wild horse. Watch closely at the different terrain areas they travel through in their bare feet. Once your horse is barefoot, you may want to create a terrain that will help you achieve an all-terrain barefoot horse. Going barefoot requires reading of various educational materials, a natural Hoof Care Provider and Boots. Before you have those shoes pulled, decide which boot would most benefit your horse and you. EasyCare Inc has the most variety of boots available and you can contact us if you have further questions, comments or tips to share. We have been trying very hard to provide any type of educational blogs regarding being barefoot. This is only one of the many steps you have to take to educate yourself on allowing your horse to be barefoot. Education is learning from the experience of others, so this article is from another aspect of going barefoot. This person is not a vet nor a farrier but can still help educate others based on her own experience for deciding to go barefoot. This experience comes from Julie Drown who transitioned her horses after the advice of friends, her hoof care practitioner and the educational material she was recommended to read. After riding her gaited horse with other gaited non-shod horses, she realized that with their speed even on rough terrain, why not check it out. Her friends recommended one of Tucson's own hoof care practitioners "Courtney Vincent". Courtney then recommended she read a number of barefoot articles before removing her horse's shoes. Based on their own experience, her friends offered this advice: “If you want your horse to go barefoot, we recommend looking for a trimmer or farrier who’s been specifically trained in shoeless trimming.” They chose Courtney because she’s had extensive training and she respects the natural shape of the individual horse’s hooves rather than trimming them into a predetermined shape. EasyCare does the search for you. Click on our Hoof Care Provider to see if there is one in your area. Of course after removing the shoes and doing their initial trim, Julie had Courtney help her fit some new boots for her horses. Some of her horse's didn't need the boots for long and were ready for the Arizona rocks and sand, while others still need the boots for their ouchy toes. Any boot that you may need can be found here at EasyCare Inc. Your first question would most likely be: "Which boot ?" and we have the answers to that question under our Educational link. You really need to read her article on her own experiences for going the barefoot way. She is really pleased with her horses' performance since she took that plunge and they are really jumping for joy at their barefoot freedom. Currently in the month of June, our web promotion is on our Nylon and Aluminum stirrups. Click here for more details on our current web site orders only special. July will be our 3rd month of having promotions for placing an online web order and using a specific promotional code. Since this is new to us and maybe new to you, our new graphic designer has been working really hard on providing everyone with a detailed page on how to use our promotional codes. Item specific code is used for specific items that are on sale. As you can see above, this months special is for the stirrups so our promotion code would be considered an item specific code. Order specific code is used when your whole order may receive a percentage off or money back. We have not had any order specific code specials yet!! You would not want to miss out on any opportunity to get special discounts on our boots, accessories or even our apparel. So watch for next month's Web Site Orders only special! Take advantage of this month's special and make sure you use the appropriate promotional code. Click here to see where and how you need to use this code. Shopping made easy for you! Occasionally individuals trying to purchase from our online store will receive the above response. Unfortunately some of these users are not aware that this is not our website issue but could be another browser and/or plug-in issue. Our technicians have located one problem. This problem is linked to those using Windows Explorer and have the plug-in Starlight installed. There is currently a Starlight Forum that talks about this issue. If you remove Starlight, you should have no further problems with shopping on our website. Also some AOL users are also having issues with "pages not found" when accessing some of our web site. You maybe able to hit the refresh (F5) button to have the page displayed or if this doesn't work, please use only IE or Netscape without AOL. Whenever you have a problem, we would like you to contact us and let us know exactly what browser you are using, what version and anything else that would be pertinent information for our techies. EasyCare Inc would like your shopping experience to be as easy as possible. EasyCare has a 90 day, from date of purchase, quality and workmanship guarantee on all boots and accessories. All you need to do is to call us at 1-800-447-8836 so that we can discuss with you the options that are available to you. Upon 90 day proof of purchase, we can help you decide what is needed and exactly what is covered in your circumstance. If it is a repair part that you want to tackle, we can certainly assist you with this. We can also have you return your boot(s) and we will evaluate them and repair what is covered under our warranty. If a return to us is necessary, please make sure that your boots are cleaned free of dirt and manure (dirty boots will be returned to you at your cost). Our repair team can get your repair completed a lot faster when the boots are really clean. Replacement of product is the sole discretion of EasyCare after our inspection of product. If your horse or dog or resident critters decide to inflict damage to your boots and/or its parts, we will not cover that. So, whether you purchase any EasyCare products from any of our dealers, or direct from us....make certain you retain your receipt, send in your warranty registration card and give us a call immediately so that we can help or direct you with whatever your circumstance may be. We really want your booting experience to be successful for you and your horse(s). Happy Riding!!!!! Get your Easyboots fixed at the AERC Convention February 29 thru March 1, 2008 at the Silver Legacy Resort Casino in Reno, Nevada and help AERC Trails. Karen and Chief will be there as well as some EasyCare Team members in booths #105 and #107. EasyCare will donate parts and labor to repair your 2005 and newer Easyboot, Epic or Bare hoofboots. You will be getting your boots fixed and helping AERC Trails at the same time! Repairs will include cables, buckles, bungees, screws, heelstraps, comfort straps and gaiters (limit of 2). To make sure we have enough parts on hand, we ask that you notify us in advance wth how many boots you are bringing, the sizes of the boots and the parts needing repair. Please call 1-800-447-8836 ext 2233 or email. So spread the word about this special offer and make sure you check out this link on our 2008 Hoof Boot Contest. EasyCare would like your feedback "Always"
Did you know that you can comment on any of our blogs? You can click on the comment link below each blog and provide your feedback. Was the information useful or do you need more clarification? Have another question regarding the blog? Ask and you shall receive. Do you have feedback on our boots? Just fill out this form and give us your input. Recently, a customer sent a question to the EasyCare Help Desk regarding a problem he was having with his Old Mac G2 boots. Q - "I purchased a pair of the G2's and used them for ten days. The coronet at the rear of the hoof on both front legs was rubbed raw. My horse is low in the heel and I can't seem to be able to lower the placement of the strap. Do you have any suggestions; am I doing anything wrong?" A - "Check to make sure your inside strap is not too tight or too loose. Also, putting one of our 1/2" comfort pads in the bottom of the boot would help to lift the heel. You could also vet wrap the pastern before putting on the boots and make sure you are using the gaiters. 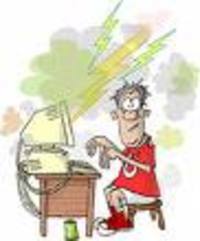 I have attached a link of tips for the Old Mac boot from our website here." The customer e-mailed back: "Thank you very much for your reply. The video link showed me what I was doing wrong. Thanks again!" If you have a problem or a question for the EasyCare Help Desk, click here and we will be happy to help you. The team has been selected. There were so many great applications sent in and now you can visit a blog especially set up for them. How exciting this is to have people from all over the horse world involved in the testing, and giving feedback to really help EasyCare develop products that perform great in all different terrains, conditions, with various horses, etc.. The team has a blog at our website, so please visit and see what is happening with the team and who they are and where they are living. This is your "door" to some real testers out there and your chance to hear from and comment to these folks. Here is the link to our blogs on our website.... http://www.easycareinc.com/Cool_Stuff/blogs.aspx , so visit all of our blogs to see all of the exciting things happening at EasyCare and around the world with our fantastic product line. Happy Riding!!!!! EasyCare recently sent this homemade holiday card to everyo ne and now we are sending it to you via your compu ter!!! We wish you the best of the Holiday Season and a joyous New Year. This card was designed by our own Jessica. Take notice that even Santa's reindeer use hoof boots for protection. EasyCare will be closed for the Holiday Season from December 22 thru January 6, 2008. We will re-open on Jan 7th. Happy holidays from all of us! If you do wish to contact us, we will respond to any question or concern immediately after the holiday break. EasyCare will be at the AERC Convention. Get your Easyboots fixed at the AERC Convention and help AERC Trails. EasyCare will donate parts and labor to repair your 2005 and newer Easyboot, Epic or Bare hoofboots. We only ask t hat you make a donation to the AERC Trails Fund at $5, $10 or $20. You will be getting your boots fixed and helping AERC Trails at the same time! Repairs will include cables, buckles, bungees, screws, heelstraps and gaiters (limit of 2). To make sure we have enough parts on hand, we ask that you notify us in advance wth how many boots you are bringing, the sizes of the boots and the parts needing repair. Please call 1-800-447-8836 ext 2233 or email: tkelly@easycareinc.com. Make sure you spread the word about this special offer for AERC Members and make sure you check out this link on our 2008 Hoof Boot Contest. 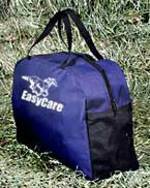 A question often asked here at EasyCare is: "What is the best way to store my horse boots for the winter?" The best answer is that you should store them the same way you store your tack. But before you store the boots, clean them thoroughly and let dry. Condition the leather on your Boa Boots just like you would the leather of your bridle before storage. The upper section is leather and the sole is urethane. Locate an area safe from weather/temperature extremes and out of direct sunlight. Keep the boots in a dry and well-ventilated environment. Cover the boots. This will help protect them from accumulating dust over the winter. Don't store your boots in an airtight container as this could create mold and mildew. Use some type of fabric for your cover. Using plastic covers could still create an atmosphere for mold and mildew. Try using an old pillow case to store your boots in. You can hang it up or place it on a level surface. During the summer time, hang your boots in mesh onion bags that you pick up at the grocery store for your onions. These bags are great for ventilation after a hard ride and let the boots dry naturally. For winter use, you can still use the bags but cover with a cloth to keep the dus t down. Better than anything for storage is our Nylon Gear Bag. They have a nylon mesh on both sides that will allow ventilation. What could be easier than a store and carry item all at the same time. Makes the job of packing your trailer that much easier. Another helpful tip for winter time is this: Going riding and it is cold outside, take the boots somewhere warm first before applying. This will make them a lot more easier to put on. We are always requesting tips and hints from our customers and therefore we ask you: "How do you store your boots in the winter time?" Please let us know what is working for you and what did not work for you. Submit your suggestions here. Team Easyboot is still open for applications. We are still taking your application to join "Team Easyboot". To date we've received 82 applications. Click here to learn more about this excellent opportunity and apply for a chance to join. Are you comfortable talking to a group and are you willing to show others how to fit and apply boots? Have you helped anybody else with their boots? The above questions are only a sample of what we would like you to fill out. There is nothing hard about it and does not require you to study before hand. Help us spread the word about natural hoof care and EasyCare hoof boots. You can be the first to trial new products and make it the best experience with Hoof Boots you ever had. Read further on Karen's blog about when the selections will start for the Team and when the trial products should become available. With winter time approaching, you may be deciding on installing Studs into your horse's boots for use on snow and ice. Did you know that there are videos for you to view on how to drill the holes for the studs? The above video is only part one and part two shows you how to actually install the studs into the boots. It only takes a few moments to watch and can probably save you a lot of time as well as frustration. These are only two of the many videos we have available for you. Sometimes reading the directions can be confusing but watching it can actually help put things in a better perspective. Check out all of our Educational Videos. Want to see a video we don't have, contact us and let us know. We will get the script written and the camera's rolling! Check out the new graphic done by our artist Jessica on EasyCare's home page. New to boots? or having trouble deciding which boot is right for you.... click here for all the info you may need. For additional questions or concerns contact us at EasyCare. Happy Trails! Entries to name this new boot started on August 1st and the contest will end on September 15th. You have no limit to the number of name suggestions, however, there can only be one winner. Check this link on how many names and what names have been submitted so far in this contest. This new boot is a lower profile version of the Easyboot Epic. The totally new design will feature a lower fitting shell, a new fastening system and a low profile flexible gaiter that will conform to the heel area. All name entries will be reviewed from the end of the contest to the 30th of September. The winner and new name will be announced on October 1st. To submit your entry for the new boot name, please send an email to: entertowin@easycareinc.com. In the subject line, please put "New Boot Name Suggestion". This new hoof boot design was based on customer feedback and do you have feedback on any of our EasyCare hoof boots designs? Ideas to make a product better? Problems you are seeing or things that are working well for you? We would love to have your feedback both pro and con. Feedback from customers is what is helping EasyCare improve our products. If you have feedback please click here.